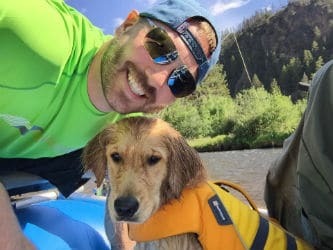 I love craft beer and coffee, I have two dogs named Hurley and Walter, my favorite number is 21, I am an avid fly fisherman, I love backpacking, I married my best friend, I love to learn, my favorite food is bacon, and my favorite place to be is on a river. 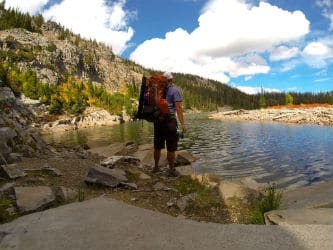 Whether it be a backpacking trip in the Grand Canyon, remote regions of Glacier National Park, or an un-named high mountain lake, I seek to enhance my appreciation of the outdoors by exploring the natural wonders of the world and areas rarely seen by many. My fly rod has experienced more amazing places than most people will see in their lifetime. With my adventurous lifestyle and appreciation of nature, what better way to bring it all together than the pursuit of trout. 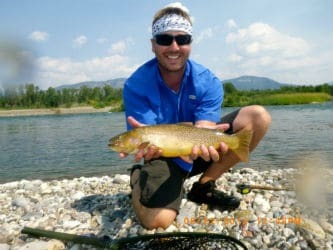 I started fly fishing when I was 13 years old and have never looked back. Fly fishing takes me to the most beautiful and remote locations, further enhancing my love for the outdoors. I develop communication/marketing strategies to increase customer engagement resulting in greater brand awareness and increased sales. I have also worked independently for the past 17+ years in online media developing and managing digital properties including a Montana Grizzlies fan site, eGriz.com, which averages more than 1+ million pageviews each month. My path as a communications and marketing specialist grew from my passions and hobbies. I loved Griz football so I started the website eGriz.com which blew up into an amazing marketing project and connected Griz fans around the world to the subject they love. I’ve also enjoyed sharing my adventures with friends, family and frankly, anyone that would listen. This is the deepest form of marketing, sharing experiences that mean so much to so many people. I’ve challenged myself to work in projects that I have a deep understanding and passion for. When you have such a personal connection to the subjects you are talking about, the marketing and promotion come naturally and it feels real to the people you are touching. An honest and real approach is how to connect to people on a personal level, which makes the end goal of engagements and sales follow. I love marketing because you can help so many people connect with products and experiences to improve their lifestyle. Take a deeper look at what I’ve accomplished over the years and what I’m able to do for you.